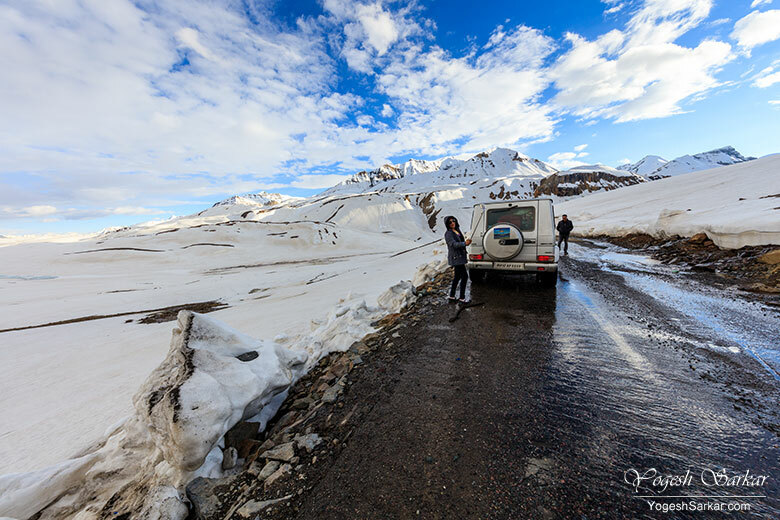 2019 Ladakh Road Trip Season is all set to begin in a couple of months and this year, it is going to be even more fun due to a good amount of snowfall throughout the Himalayas. This itinerary is for those travelling in their own car or on their own motorcycles. This travel plan begins and ends at Manali, so in case you are interested in taking the Srinagar route, an alternative plan is provided towards the end. If you are planning to travel on a rented motorcycle or in a self-drive rental or taxi, then please keep in mind that you will have to hire a taxi or motorcycle from Leh, for Nubra Valley and Pangong Tso circuit. Since only self-owned vehicles from outside Leh are allowed on this circuit. Therefore, without further ado, here is the 2019 Essential Road Trip Itinerary for Ladakh. I will cover essential tips towards the end of this blog post. Day 1: Manali to Jispa: The first day of the trip and you will be crossing first of the seven passes you will be covering on this trip. Rohtang Pass is usually choke full of tourist traffic, hence it is best to start early from Manali (5-6 am). 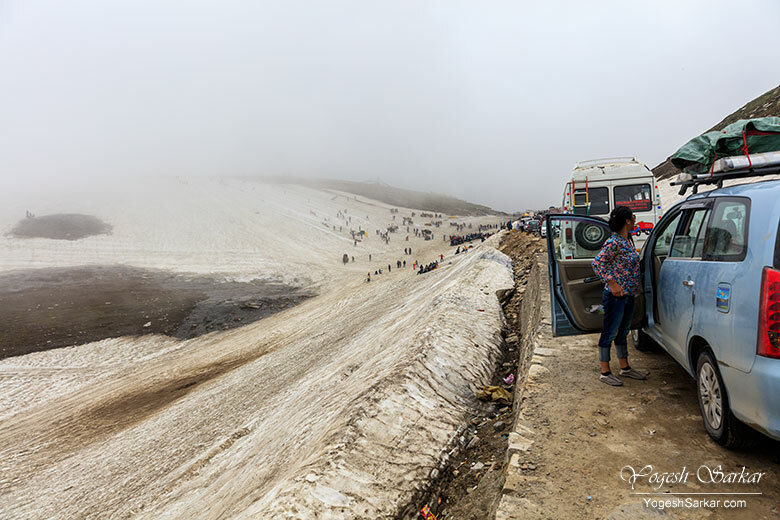 Rohtang Pass is closed for traffic on Tuesdays, so make sure to plan your trip accordingly. Make sure to fill up fuel from the Tandi Petrol Pump. You will not find any petrol pumps before Karu (30 km before Leh), which is located 335 km from the Tandi Petrol Pump. You can buy fuel in black from the dhabas at Bharatpur, Sarchu and Pang; however, the quality may not be good. Day 2: Jispa to Leh: This is going to be the longest day of your journey and coupled with high altitude, it would be the toughest day as well. Make sure to start early at 5-6 am, so that you can comfortably make it to Leh by nightfall and avoid crossing Tanglang La in the evening. En route you will be crossing 4 high altitude passes today; Baralacha La (16,500 ft.), Nakee La (15,547 ft.), Lachuung La (16,616 ft.) and Tanglang La (17,582 ft.). You will also be crossing Gata Loops (21 hairpin bends) and More Plains. Sarchu and Pang both make for scenic pit stops en route for food, though the food itself is generally not all that good. 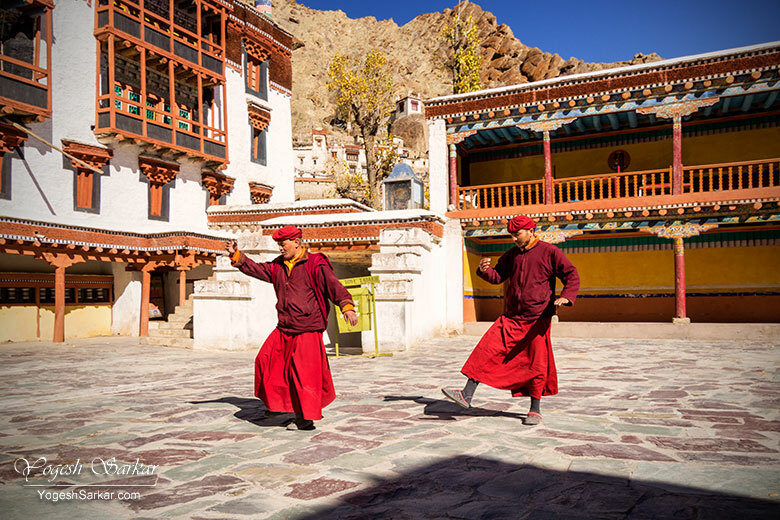 Day 3: Leh local sightseeing: You can visit Hall of Fame, Shanti Stupa, Leh Palace, Tsemo Gompa, Gurudwara, Jama Masjid and main market today (all within Leh). 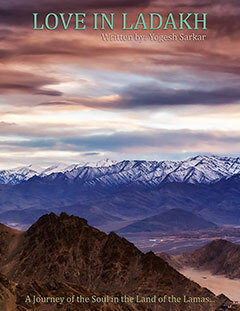 For more sights in Leh, please check the following guide, Exploring Ladakh: Leh. If your car/motorcycle needs TLC, then get it fixed first and then go sightseeing. Generally, it is a good idea to get the air filter checked/cleaned, once you reach Leh. Also, get the fuel filled for the journey to Nubra Valley tomorrow. 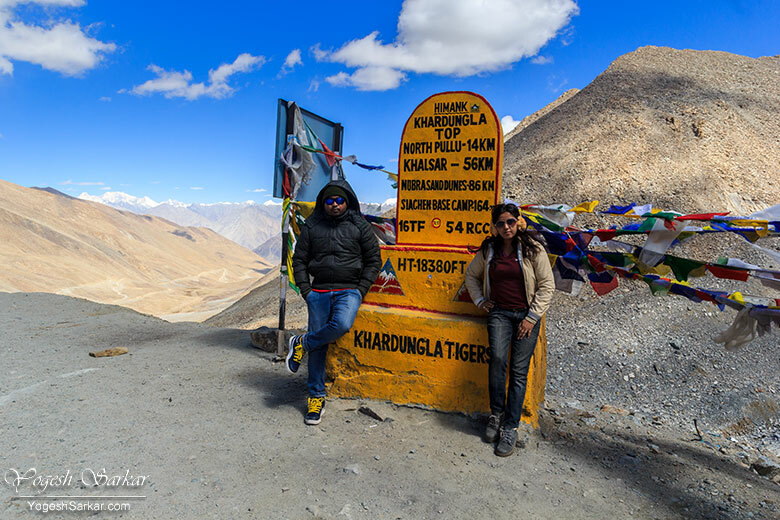 Day 4: Leh to Nubra Valley: Today you will be travelling across the Khardung La to the beautiful Nubra Valley. After a brief stopover at Khardung La for photos, head to North Pullu, where food and toilets are better than at Khardung La. After entering Nubra Valley, your first destination of the day would be Sumur Gompa at Sumur Village. 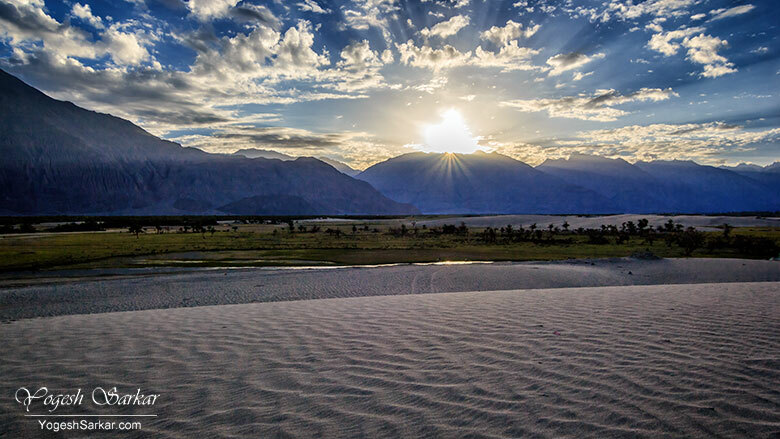 After visiting this ancient Gompa, travel to Panamik Hot Springs for the excellent view of the Nubra Valley and a bath. The road you will be travelling on is the same one leading up to Siachen Base Camp. After Panamik, it is time to travel to either Diskit or Hunder Village for the night stay. If you manage to reach these places before sunset, then it is best to travel to Hunder Sand Dunes to witness the sunset. 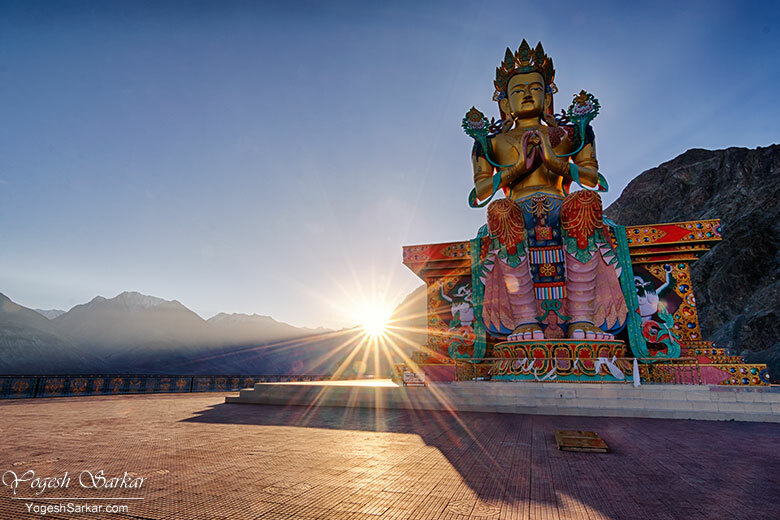 Day 5: Nubra Valley to Pangong Tso: Wake up early in the morning and watch the sunrise at Hunder Sand Dunes, afterwards, have breakfast and visit the Maitreya Statue at Diskit Monastery, before beginning your journey to Pangong Tso via Agham and Shyok Villages. Once at the Pangong Tso, spend the night at Spangmik, Man or Merak Villages, all of which are located on the banks of Pangong Lake. There is a small petrol pump at Diskit Village, make sure to get fuel from there, since the next petrol pump is at Karu, around 300 km away. You can buy fuel in black at Diskit, Shyok, Durbuk and Tangste. Day 6: Pangong Tso to Leh: After spending the morning by the shores of Pangong Tso, marveling at its beauty, it is time to travel back to Leh. 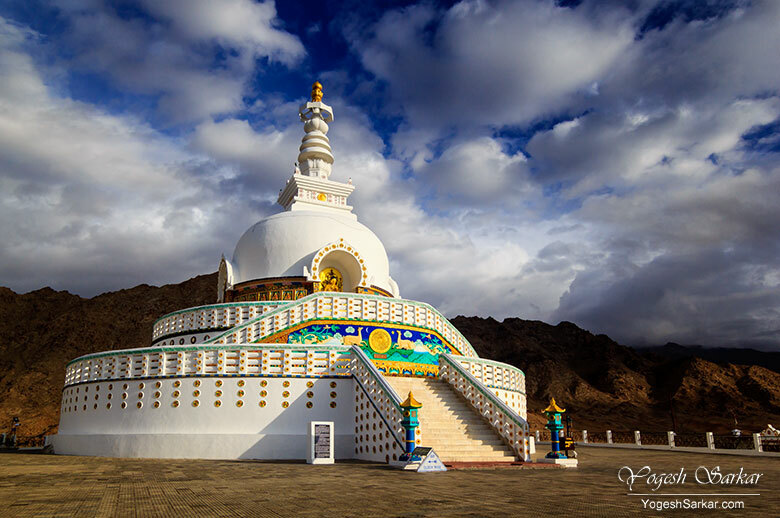 En route to Leh, you will be travelling across the mighty Chang La pass, located at an altitude of 17,688 ft.
Once you reach Karu Village, you can take a detour to Hemis Monastery or visit the Thiksey and Shey Monasteries en route to Leh. Day 7: Sham Valley: Compared to the earlier days, this is going to be a short and easy trip. 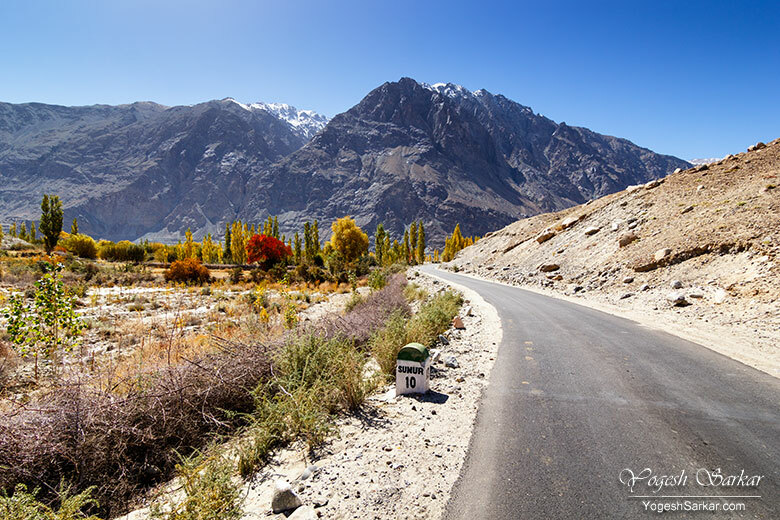 You will be travelling on the Leh – Srinagar Highway until Likir Monastery and covering Alchi and Basgo Monasteries, Indus and Zanskar Confluence, Gurudwara Pathar Sahib and Magnetic Hill en route. 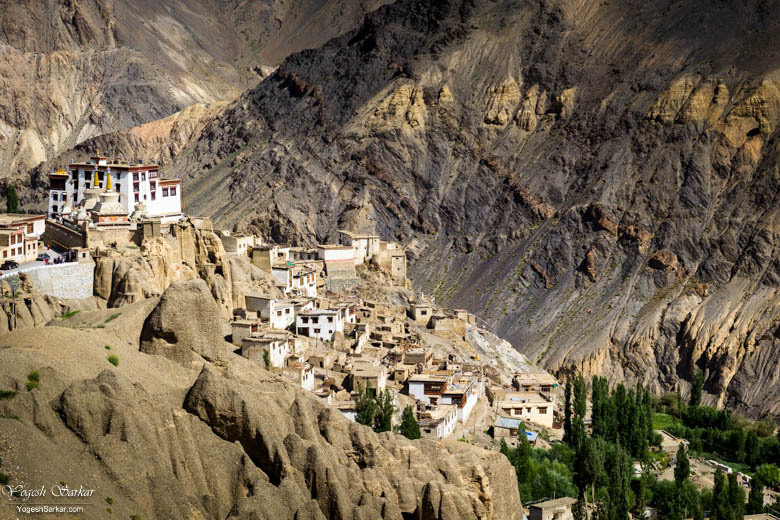 If you want, you can even drive up to Lamayuru Monastery and come back to Leh by nightfall. If you are interested in rafting, then you can do that as well at Indus and Zanskar Confluence. Day 8: Leh to Sarchu/Jispa: This is going to be another long day, so make sure to start in wee hours of the morning and drive until Sarchu or Jispa for a night stay (based on personal preference). Day 9: Sarchu/Jispa to Manali. Alternative itinerary via Srinagar for those, who wish to cover both the routes to Ladakh and do not mind extra travel time required to reach Srinagar. Day 1: Srinagar to Kargil: Make sure to start early in the morning, since crossing Zoji La pass (11,640 ft.) can take time if you get stuck in an army convoy and chances of facing a protest is less during the wee hours of the morning. 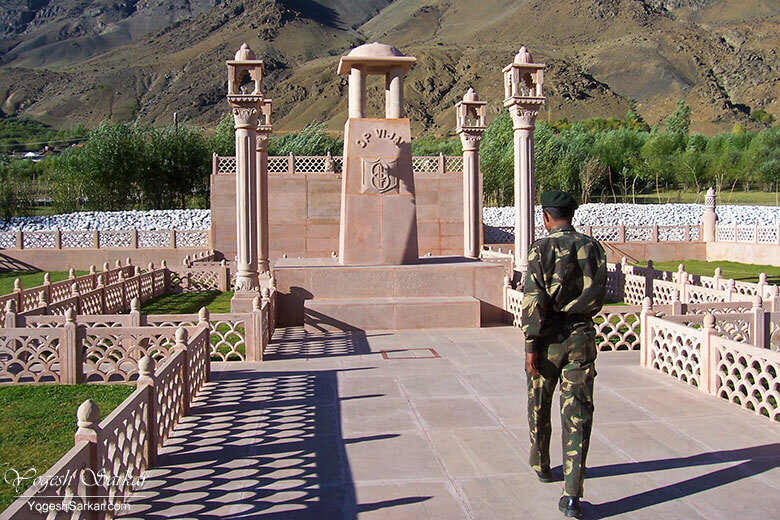 En route to Kargil, you can visit Thajiwas Glacier and Drass War Memorial. 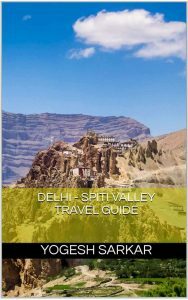 Day 2: Kargil to Leh: En route, you can visit 7th Century Maitreya Statue at Mulbek, Lamayuru Monastery, Likir Monastery, Indus and Zanskar Confluence, Gurudwara Pathar Sahib and Magnetic Hill. 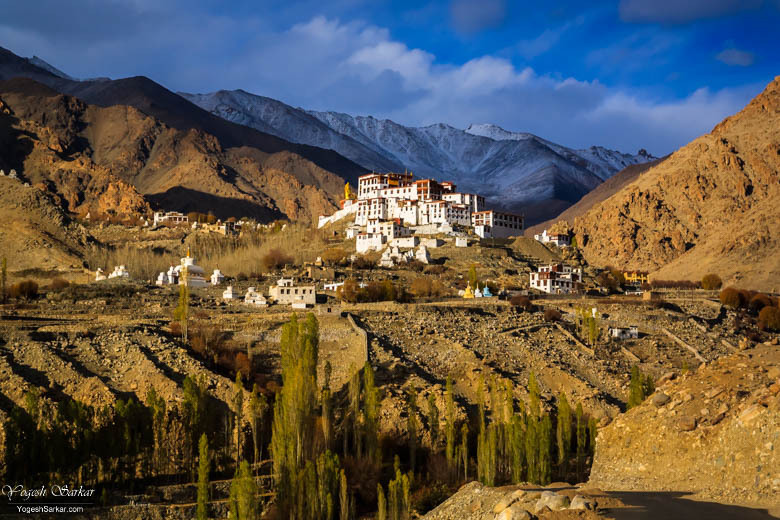 Day 7: Monastery Circuit: Hemis, Thiksey, Stakna and Shey Monasteries along the Leh – Manali Highway can be visited today, along with Sindhu Darshan Point. Rest of the itinerary is the same as mentioned earlier. When to travel? : Manali – Leh Highway will likely open in June first week and initially the road condition will be bad. However, if it is snow you wish to see, then travel in the first half of June. July and August are monsoon season in Himachal and Kashmir, but in Ladakh it is summer season and it is at its greenest. September is when the off-season begins, weather starts turning cold and autumn colours begin to appear and roads are generally at their best. October is cold and after 15th of October, Manali – Leh Highway can shut down officially. Permit and fees: If you are travelling from Manali to Leh, then you will need to pay Manali Green Tax (while entering Manali) and get beyond Rohtang Permit. Both of these can be obtained online at the following website http://rohtangpermits.nic.in/. 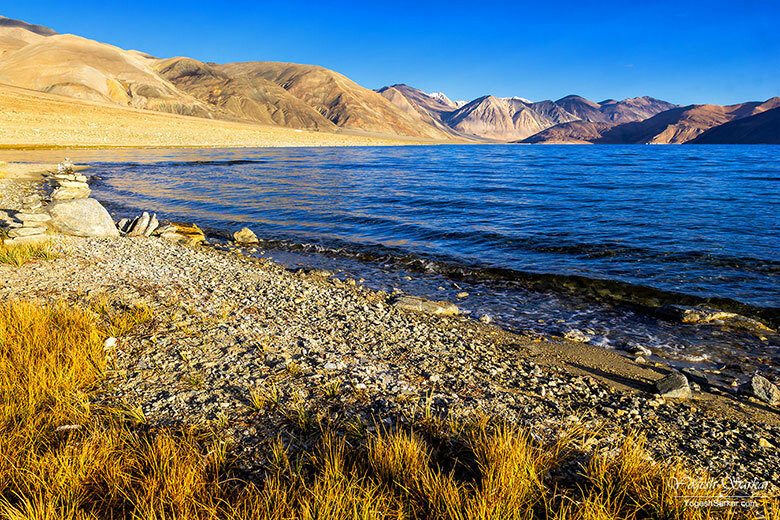 In order to travel to Nubra Valley and Pangong Tso, you will need Inner Line Permit, which can be obtained online at http://www.lahdclehpermit.in/. If you are a foreigner, NRI, PIO or OCI holder, then you will need Protected Area Permit, which can be obtained through a travel agent based in Leh (no need to take a travel package from them). You need to submit a copy of these permit at various police check posts en route. Apart from these, many of the monasteries and Hall of Fame charge a small entrance fee. Acute Mountain Sickness: AMS, as it is commonly known, is caused by the lack of oxygen at high altitude. It can prove to be fatal and hence should not be taken lightly. I have written this excellent Guide on AMS at BCMTouring.com, so make sure to go through it. Phone Services: You can easily find phone connectivity until Keylong and Jispa. Beyond that, no mobile phone connectivity is available until you cross Tanglang La. Similarly, phone connectivity is patchy at best in Nubra Valley and at Pangong Tso. Additionally, only post-paid connections from outside J&K can do roaming in Ladakh and J&K, as per the government order. BSNL/MTNL has the best connectivity in the region, followed by Airtel. JIO is available at limited places.